The school website is undergoing some redesigning at present and will hopefully go LIVE again next week. The class pages and blogs will also be updated with weekly information about activities in classes, school council and after school clubs. The Rhondda Leader photographer will take photographs of our new intake on Tuesday 29th September at about 9.45 a.m. Please can you ensure that all our Nursery children are in school on that day promptly. The photograph will appear in an edition of the paper soon. We are trialling a more effective way of communicating with parents this half term. We will be using a mobile phone text system which can give you updates on closures, school announcements, dinner money reminders, cancelation of school clubs and more important first day contact for absences. To receive these free texts please can you ensure that your current mobile telephone number is in our system by informing Mrs. Thomas, the secretary. You will receive a number of texts in the next few weeks to see if the system is worth purchasing. 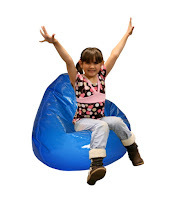 The staff have asked me to inquire whether anyone has any Bean bags, Remote Control Cars and Jigsaws, games which will be used in Breakfast Club and in class. If you have any of these can you contact Mr. Jones in Year 5 or Mrs Fraser. The staff will be engaged in a training day on FRIDAY 27th NOVEMBER 2009. Therefore school will be closed for ALL PUPILS on that day. We will be holding our annual Grandparents concerts this year on Friday 2nd October. As usual, the Foundation Phase and Key Stage One children will perform at 1.00 and the Juniors at 1.45.In previous years we have received requests for parents to attend. This concert is a special occasion to celebrate Grandparents Day and I appreciate that not all Grandparents are able to attend and that some of you wish to see your children perform. It is proving to be difficult to apply this as many parents are unwilling to co-operate. Please will you assist us in not attending and make this a special day for Grandparents. We will record each concert and put samples on the school blog for you to see. This year we are changing our reporting to parents arrangements. 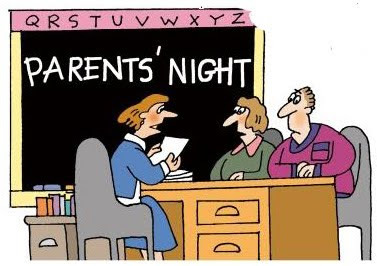 We are inviting parents to a meeting next week where each class teacher will outline the classroom expectations they have for the coming year to you with your pupils. 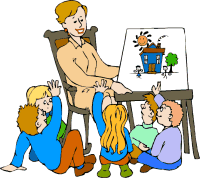 The sessions will begin after school and take the form of a 10 minute presentation by the class teacher of class rules, homework arrangements, information on how you can support your child at home and all other aspects of the class routine. This will be followed by the class teacher running through the work forecast which you receive each term. There will be a short question and answer session at the end. Please will you be mindful that we will not discuss any individual children during this time. If you feel that there are any unresolved issues concerning your child please will you make an appointment to see me and we can discuss an appropriate plan of action to resolve this. Should you need to need to bring your child with you, my staff will look after them in the hall while you are with the class teacher. We will be grateful for any comments on the format and each teacher will ask you to fill in an evaluation form at the end of the session. To further inform you of your child’s progress we will be holding a ten minute individual appointment in February with each teacher and as always you will receive a comprehensive written report at the end of the year.We hope that this system will prove more successful in communicating information to you. 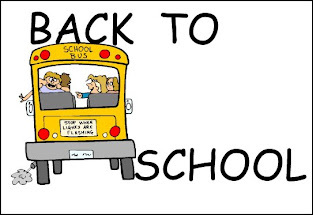 School begins for pupils on THURSDAY 3rd SEPTEMBER. The staff are involved in INSET training tomorrow. Breakfast Club will be open from 8.10 a.m. and any children wishing to join breakfast club can do so after completing the registration form. This year we are opening breakfast club up to our nursery children. Details of this can be seen on the school website or from Miss Mathias. There is now a school calendar that can be accessed to view important dates for the coming term. This will be updated when dates are agreed by staff.